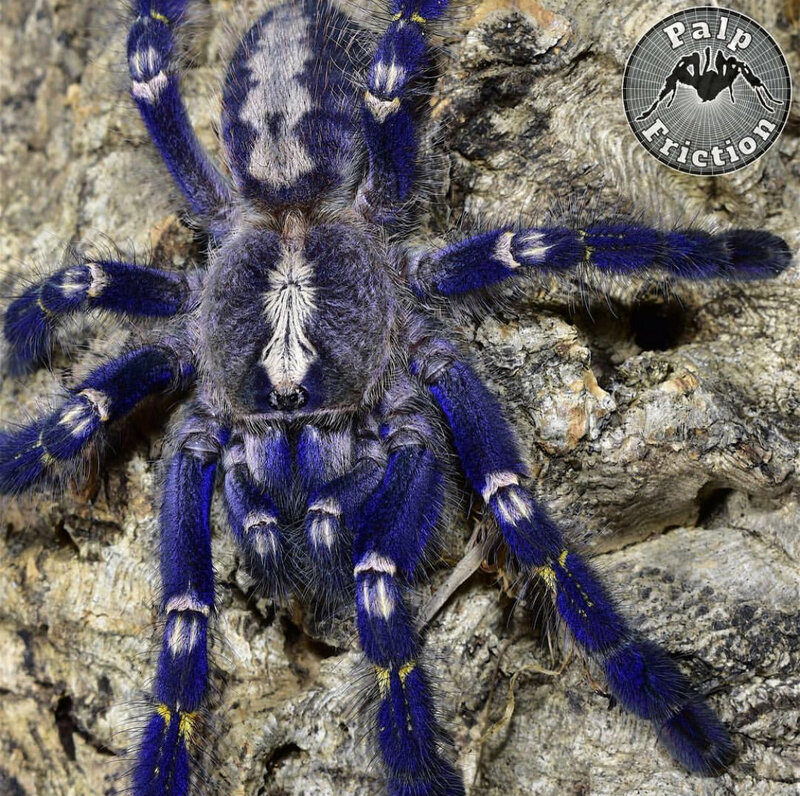 Poecilotheria metallica "Gooty sapphire ornamental"
~.75". Old World Asian arboreal teleporter with medically significant bite. Not recommended for beginners. Commonly known as the "Gooty sapphire ornamental"